The Hispanic Bar Association of Central Florida Foundation presented Judge Jose Rodriguez with their inaugural “Hon. Jose R. Rodriguez Legacy of Service Award” at their Holiday Awards and Scholarship Soiree on December 1, 2018. The award was inspired by its namesake – honoring his deep value of service and his commitment to the Hispanic Community. 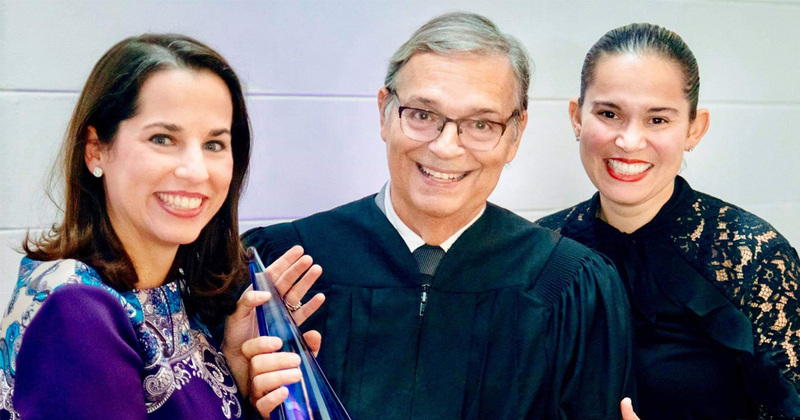 Judge Rodriguez is a founding member of the Hispanic Bar Association of Central Florida. He was first elected to the bench in 1987 as an Orange County Judge and elected as a Circuit Judge in 1994. Currently the Ninth Circuit’s most senior judge, Judge Rodriguez will retire at the end of this month after 31 years on the bench and serving our community.